London Luton airport got it right, final.ly! 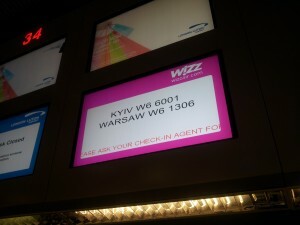 – Kyiv, of course! After quite few years of constant reminders Luton Airport has finally corrected the spelling of Kyiv. A big applause goes to the airport management. It is not easy to change those electronic systems. The company staff was nice and always took a notice of remarks. Now, they deserve a nice bottle of champagne, cheer them up when flying to Luton net time.